The flyby is also the gateway to Cassini's Grand Finale—a final set of 22 orbits that pass between the planet and its rings, ending with a plunge into Saturn on Sept. 15 that will end the mission. 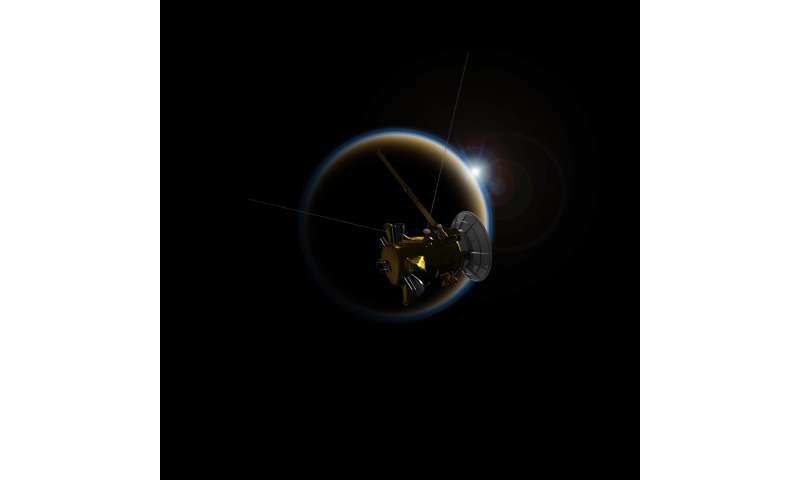 During the close pass on April 21, Titan's gravity will bend Cassini's orbit around Saturn, shrinking it slightly, so that instead of passing just outside the rings, the spacecraft will begin its finale dives which pass just inside the rings. Extremely lolworthy. Never tire of reading this lunatic's take on things! Always good for a laugh. Could he magic island be some kind of -berg? Methane-berg, or whatever?